The weather in the UK is notoriously unpredictable, especially in the harsh winter months. With barrages of rain, wind, and snow, combined with fluctuating temperatures, protecting your outside handrails can be an uphill struggle. Faced with the unpleasant weather of the winter months, protecting the components of your exterior balustrades is of high priority. In the face of wind and rain, there are a few maintenance guidelines that must be followed. It’s important to keep your balustrade for outside steps, flat roofs, and patio’s, in top notch condition. Just like all exterior fixtures and fittings, the type of protection you’ll need is dependent on what material your balustrade is made from. 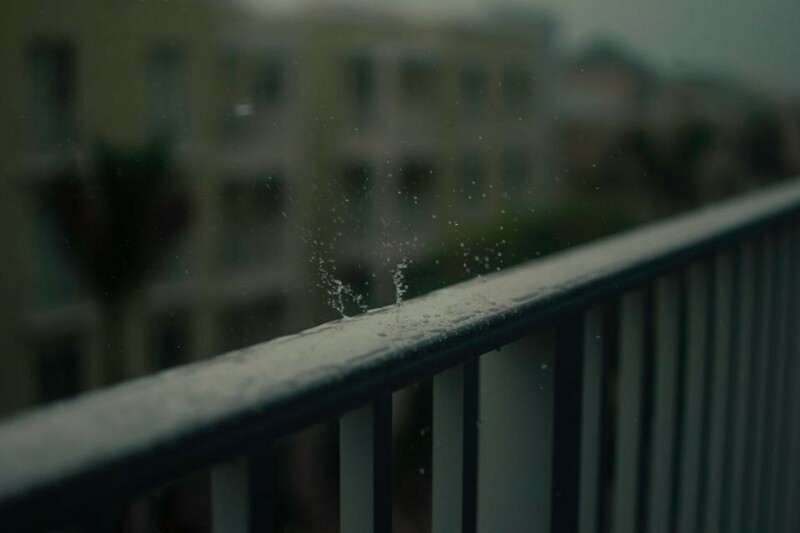 By following our guide for balustrade care, you can ensure that the weather doesn’t get the best of your components. Balustrades made from toughened glass are a fantastic choice for patio use. The designs are often very low maintenance and stand-up particularly well to harsher weather conditions during the heat of the summer and the winter chill. However, they do require special care to maintain their appearance, especially after bouts of heavy rain. Much of the care required to protect glass balustrades involves cleaning, making it much easier to maintain than alternative handrails. To clean glass balustrades effectively, the only products required are a good quality glass cleaner and a soft cloth. All you need to do is apply the cleaner to the cloth and wipe away any excess dirt and water streaks from the glass. To better protect your glass in the case of particularly bad weather, polymer films can also be used to make the glass more resistant. Wood is amongst the most popular materials to use for a balustrade. However, like most exterior woods that are left exposed, balustrades can be severely damaged if not properly cared for. Normally, a balustrade for outside steps or decking is made from either hardwood or softwood. Both have different properties, but can be cleaned in a similar way. For both softwood, such as pine or hemlock, and hardwood, such as white oak or ash, regular cleaning is required. A deep clean should be undertaken on a regular basis to ensure that the balustrades are kept in the best condition. Any dirt that has accumulated through bad weather can be brushed away before the wood is washed using a wood cleaner. For year-round resistance to bad weather, further treatment is required. It is important to make sure that the balustrade has been treated with a water repellent and a specialist wood oil. These help to protect the balustrade against water damage and maintain the appearance. Before applying either, it is essential to make sure that all the surfaces are dry. Metal is one of the strongest types of balustrade. It is an ideal choice as a material to use for a flat roof railing. There are several different varieties of metal balustrade that can be used. Iron and steel are two of the most popular metals, with stainless steel commonly used in some balustrade components. It is usually chosen for the exterior appearance and the resistance to rust. However, unlike stainless steel- standard steel and iron are both prone to rusting over time. This means that to protect the balustrade for flat roof railing, a coating is needed to ensure that the structure and appearance aren’t comprised. Thankfully, regular inspections of your external railings mean that any rust can be caught and dealt with quickly. To ensure that metal railings are prepared to stand-up to harsher conditions, it is important to repair any scratches or blemishes as quickly as possible. This can be done easily by using steel wool to sand the damaged area, before applying a coat of rust-resistant paint. For basic cleaning, warm water with standard soap is more than adequate. It is recommended to apply a wax coating afterwards to keep the paintwork intact. Whether you are trying to protect a balustrade for outside steps- or railings in your garden, maintenance is essential to maintain the exterior appearance. It is also key to ensure the stability and strength of the balustrade. A bit of care a few times a year should be all that’s needed to keep your outside handrails in prime condition.